The travel experts at AAA Carolinas are standing by to help you ﬁnd the ultimate vacation packages for your time and your budget. Whether you want to travel by land, sea, or air, AAA can help with all-inclusive vacation packages and deals, Member discounts, and free trip planning tools. Start planning your trip in the United States, Mexico, Europe, Asia, or the Caribbean. You focus on the fun and we’ll focus on the details. Extraordinary vacations with more destinations, more departures, more inclusions and more value for you. The award-winning print magazine with ideas, tips and adventures from AAA. The TripTiks you know and love, now available online, plus tourbooks and maps. AAA is an Authorized Disney™ Vacation Planner and an EarMarked™ agency, so our experts can help you book a world-class Disney experience. AAA's travel guide to road trips has what you need to plan driving getaways. With your AAA Membership, you'll never travel alone. TOURBOOKS & MAPS AAA’s iconic tourbooks and maps are available upron request. Our maps & tourbooks can help you get the most out of your trip. Find an Agent Visit your local AAA office or call us at 800-444-8691 and order your tickets at discounted rates. 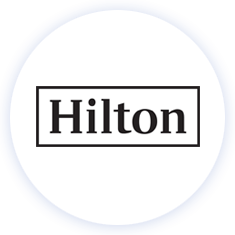 Receive discounts and more when you book with one of our preferred partners! 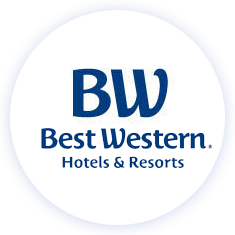 Members save 5% to 15% and earn 10% bonus Best Western Rewards ® points when booking AAA rates! 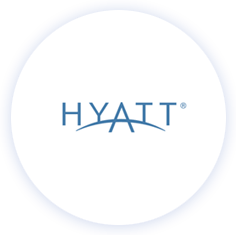 Members save 5% or more and earn World of Hyatt points when booking AAA rates! Members save 5% or more and earn Marriott Rewards ® or SPG ® points when booking AAA rates! 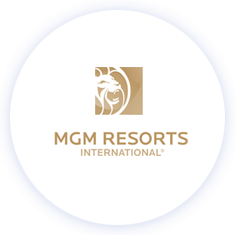 Save 10% and earn M life tier credits when booking AAA rates!